The last thing your teenager wants to hear is "you're too young", and they won't be hearing those words on a family vacation in fabulous Las Vegas any longer. This city has now become a prime destination for families after embracing this new market of visitors by offering more family-friendly hotel accommodations, shows, shopping and activities that teens enjoy. The four miles of the Las Vegas Strip stretching from the Stratosphere to Mandalay Bay can be traveled via city bus, taxi and walking. Teens can pop into several attractions along the way including the Game Works arcade at Town Square, Madame Tussauds Wax Museum at the Venetian, or watch the volcano erupt nightly at the Mirage. 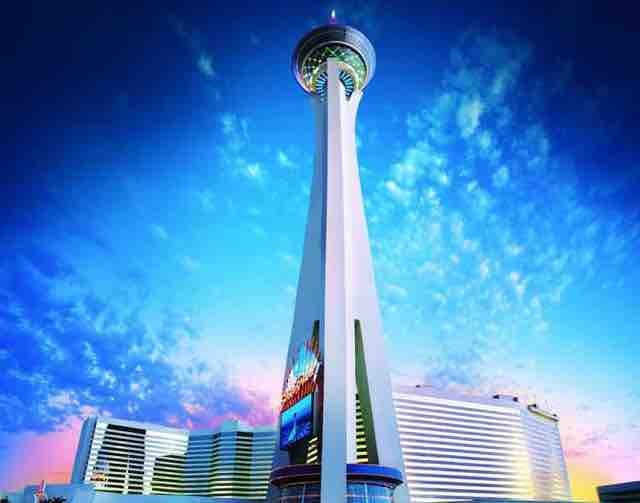 Stratosphere is the place to stay with teens wanting the most extreme thrill rides in the world. This hotel placed all its rides on top of the tallest structure west of the Mississippi River. "Insane" is the word your teens will scream after riding Insanity, swinging 64 feet over the edge of a 1,000 foot tower while spinning around in swings. A giant seesaw called X Scream tips riders over the edge of the tower and back again. If that isn't enough, Big Shot shoots it's riders 160 feet up the top of the needle and back down, not once, but several times. The entire family will enjoy beautiful accommodations while staying at the Stratosphere including their spa and pool area. The hotel is located at 2000 Las Vegas Blvd South, Las Vegas, NV 89104. 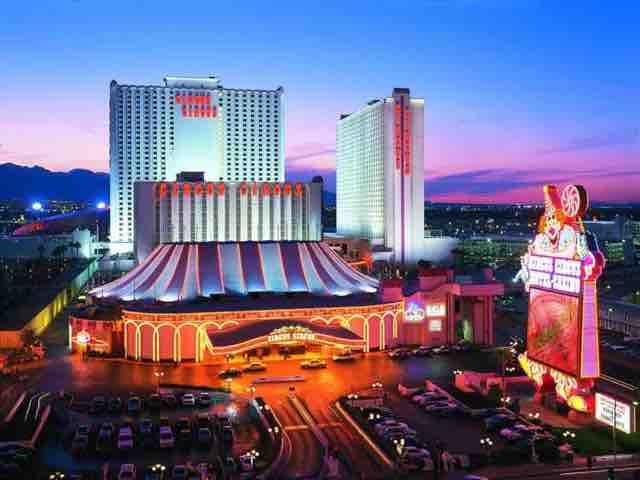 Circus-Circus is located at 2880 Las Vegas Blvd. South, Las Vegas, NV 89109 and has been voted the best hotel for families by many travel guides. Teens can spend the entire day exploring the Adventuredome theme park located just behind the hotel. The Adventuredome includes a laser tag arena, arcade, miniature golf, log flume ride and a roller coaster. The level just above the casino floor has carnival games for children of all ages while trapeze artists perform overhead. Circus-Circus has 3,773 rooms for guests to choose from along with an RV park that offers 339 spaces for RVing tourists. Few hotels are as entertaining for teens as Mandalay Bay Hotel. This hotel's pool area encompasses 11 acres of beach, including sand, and waves as high as six feet. Cabanas and a lazy river offer welcomed relaxation. The Shark Reef is located inside the Mandalay Bay providing a fish lover's ultimate experience viewing a variety of sea life while walking inside a glass tunnel through the aquarium. Your family can also enjoy shopping at the Shoppes at Mandalay Place, golf and the on-site gym. 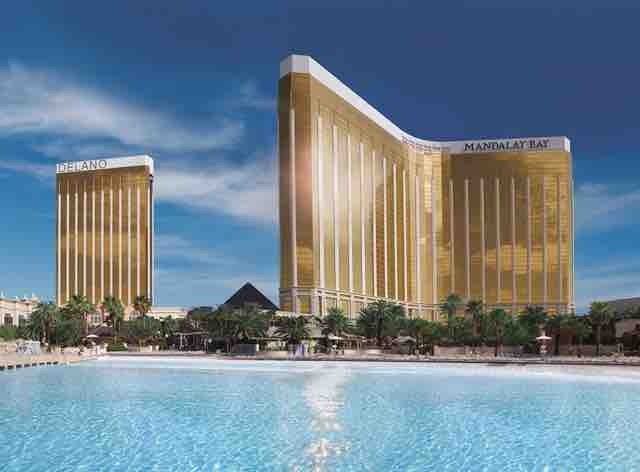 Mandalay Bay hotel offers guests the best of amenities in any one of their 3309 rooms. This hotel is located at 3905 Las Vegas Blvd South, Las Vegas, NV. The Venetian Hotel offers teens the shopping experience of a lifetime at the Grand Canal Shoppes. After shopping they can eat at the large food court, play at the arcade and then take a gondola ride. The concierge is happy to arrange biking trips or golf for the entire family. The Venetian offers families luxury amenities such as full service spa, several restaurants to choose from, and meeting spaces. Their classic Italian-style guest rooms come complete with video games and movie rentals. Kids under 18 stay free in their parents' room. The Venetian is located at 3355 Las Vegas Blvd South, Las Vegas, NV 89109. The Monte Carlo offers special events and shows, many of which permit guests under 18, throughout the entire year. Teens can enjoy lounging on the pool deck or have fun in the Monte Carlo's own wave pool with a 400 foot long "lazy river". Children under 18 stay in their parent's room for free and there are in-room movies and video game rentals. This hotel's location provides easy access to many activities Las Vegas has to offer to teenagers, such as theme parks and arcades. Besides offering amenities for the younger guests, parents will still enjoy the Monte Carlo's AAA Four Diamond rating in one of its 3,000 luxury guest rooms and suites. The Monte Carlo is located at 3770 Las Vegas Blvd South, Las Vegas, NV 89109.